Municipal election is set for May 5, and primary runoffs are scheduled for May 22, 2018. Below you'll find links leading you to your polling place, according to the precinct listed on your registration card. Our partners at the Texas Tribune have compiled a list of frequently asked questions. 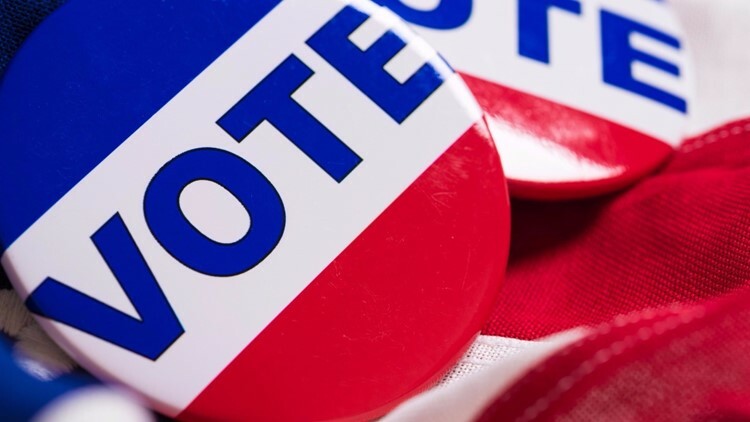 April 5 is the last day to register to vote for the upcoming elections. Click here to see all important election dates. Don’t know if you’re registered? Check the Texas Secretary of State’s website. All you’ll need to do is enter your full name, birthdate, zip code and the county you live in. Of note: There’s no way to register online in Texas, but if you want to make sure you’re set for future elections, you can register in person at your county voter registrar’s office or by filling out a voter registration application online, printing it and mailing it to your county’s registrar. Can I vote for either party? Yes, because Texas is an open-primary state. This means voters can decide every two years whether they’d rather help pick the Republican or the Democratic nominees (or hold out and go to third-party conventions). Of note: Whatever primary you decide to vote in, you can only vote in that same party’s runoff, if a runoff is held. You can also vote for either party's candidate in the general election. What form of ID do I need to bring to the polls? So, what if I don’t have one of the seven approved forms of ID? If you have qualifying photo ID, bring it. But if you don't, you can still cast a ballot. Voters who do not have any of those documents and cannot “reasonably obtain” them can still cast a vote if they sign a form in which they swear that they have a “reasonable impediment” from obtaining appropriate identification. A “reasonable impediment” can include a lack of transportation, disability or illness, family responsibilities or lost or stolen identification, among other things. And election judges may not question a voter about the reasonableness of a claimed impediment. The “reasonable impediment” declaration forms will be available at each polling location. Voters are not expected to fill them out ahead of time, Taylor said. Our partners at the Texas Tribune contributed to this report.